• LEED	 Environmental Market Solutions, Inc. 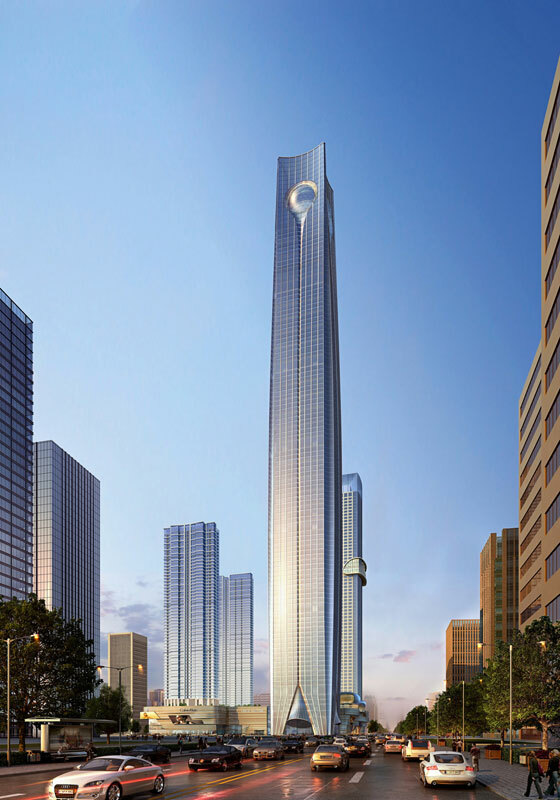 Rising from the burgeoning Baoneng Shenyang Global Financial Centre, Global Financial Center Tower 1 will provide a focal point that grounds the central business district of Shenyang, a fabled city in China’s northeast known not only as the nation’s first industrial city, but also as the ancestral home of the Qing Dynasty emperors. 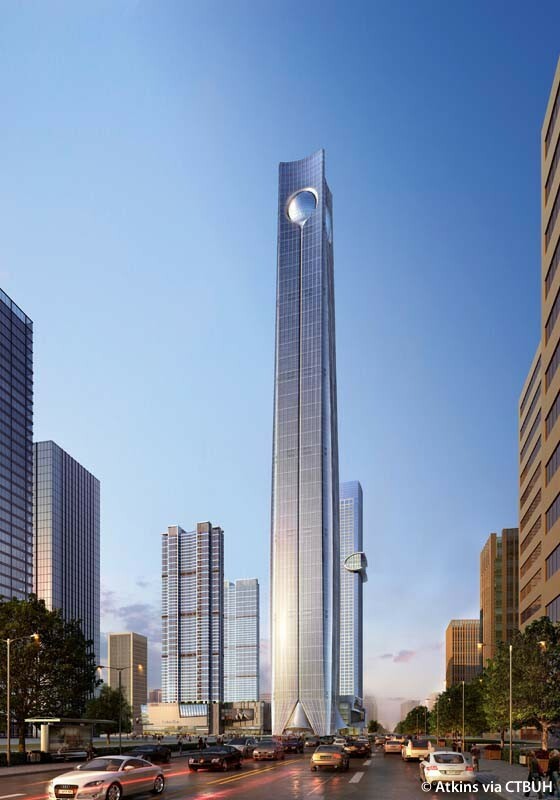 The tower will not rise alone: nearby, a 328-meter tower will provide a sense of visual interplay in the skyline. 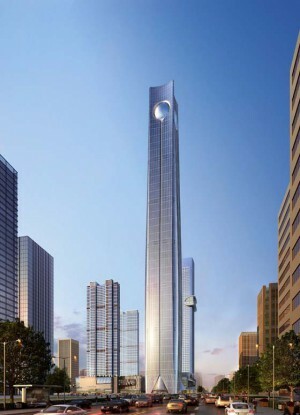 The design of Global Financial Center Tower 1 represents an exercise in both simplicity and iconicity. At the ground level, the tower meets the street at the human scale, with conical extrusions that downplay its verticality near the entrance. These canopies recall the nomadic tent entrances of the Qing Dynasty. Rising upward, the tower widens slightly before it tapers, giving it an oblong appearance. For structural consideration in a high seismic zone, the tower shaft evolves from a square to a convex plan with corners carved out to further reduce the considerable bulk of the tower and to soften the scale contrast with the surrounding residential towers. At the top, an executive club is located within a giant “pearl” that measures 50 meters in diameter. The pearl – a symbol of wisdom, luxury, and purity – is the jewel in the crown of this mixed-use development.